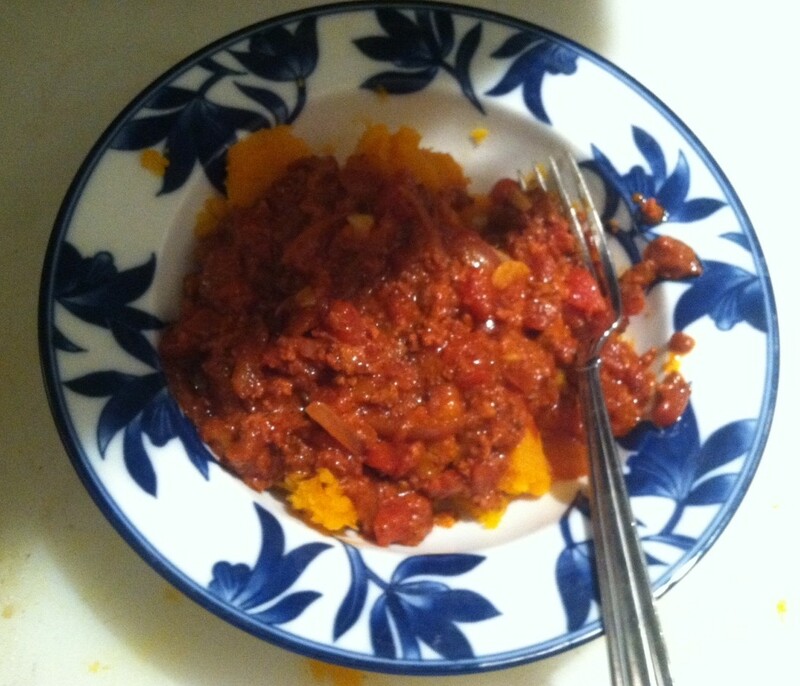 Earlier today I wrote a blog post in which I included a recipe for Spaghetti Squash & Sausage that Sarah Garvin posted on the Warrior CrossFit Muscatine Facebook page for the February 2013 30-Day Paleo Challenge. As luck would have it, I had all of the ingredients on hand except for some sausage — even had two squash. Or is that squashes? 🙂 So, I stopped at the store on the way home, bought some sausage and made this for dinner. It was delish. Definitely, I will make it again. It even has me wondering if not trying the 30-Day Paleo Challenge was the right decision. If Sarah has more recipes like this, you can definitely eat Paleo and not deprive yourself of good food. A second followup: Earlier today, I also wrote a blog post about Muscatine’s selection as a Blue Zone’s community. Of course, I shared the blog post on Twitter and Facebook. And it was retweeted by someone called Bleeding Heartland. I don’t know who this is and I doubt if it’s anyone with whom I want to get into a debate. Are there air-quality issues in Muscatine? Sure. Should that disqualify Muscatine residents from learning to eat better and exercise more? Not if you ask me. Until they prove me wrong, I am going to give the benefit of the doubt to the companies in Muscatine that are working to address pollution issues in the community. In the meantime, I encourage everyone to do whatever they can to adopt the ideas promoted by Blue Zones author Dan Buettner. It can’t hurt. And it could help. A lot.